Melissa Field was gifted to the village in 1933 and is one of ten open spaces owned and managed by Wheathampstead Parish Council for the benefit of residents and visitors, including anglers. 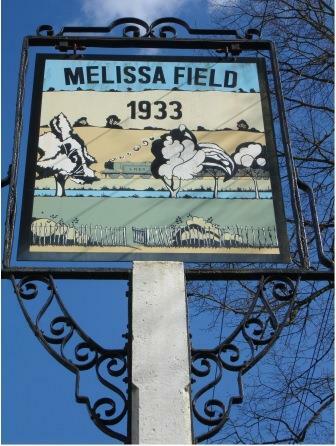 The Melissa Field sign was installed in 2004 on the post that had, many years before, served the Rose & Crown Public House on the opposite side of the road. You may notice that the facing properties are now named Crown Cottage and Rose Cottage.